α- alumina crystal type is stable high purity alumina. Having a high melting point, high hardness, wear resistance, high mechanical strength, good electrical insulation, corrosion resistance and other excellent physical and chemical properties, manufacturing high-purity high alumina ceramic series, over abrasive and refractory materials, It is widely used in spark plugs, high-frequency dielectric ceramic, abrasive materials and refractory materials and other manufacturing industries. α- alumina calcination rotary kiln process which developed by our company belonging to high-temperature short-time firing process. Using aluminum hydroxide or aluminum as a raw material, mixed with quantitative agents of mineralization, then it can produce high-quality and low sodium α- alumina. Our system features a rotary kiln calcined α- alumina is used: 1. The flame is stable, robust, and there is a certain length; 2. As α-alumina crystal growing rapidly at high temperatures, so ensuring the complete conversion of the crystal case, try to shorten the residence time in the firing zone, which is generally by increasing the kiln speed, so that the material in the kiln speed motion to solve; 3. 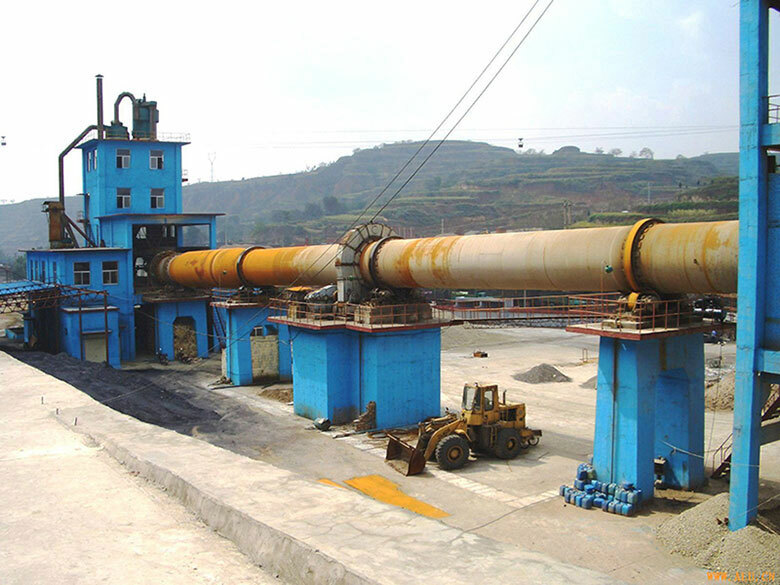 Our company used α calcined alumina rotary kiln size is generally φ2.5 * 54m.